The capacity of marine data and information to deliver sustainable economic benefits has been recognized. However, coastal and ocean observatories and public data-sharing initiatives face common challenges in demonstrating uptake and application of open marine data and information for economic development and innovation. This is critical for those initiatives aiming to deliver growth in the blue economy, particularly in terms of justifying the continued investment of public funds. The COLUMBUS project has released a guide to help public ocean observing and data initiatives engage with Blue Growth industries. Currently, the European Union provides a considerable investment in marine monitoring and observation, data sharing and assembly, as well as downstream services. As a result, significant progress has been made to collect, aggregate and make publicly available the data and information derived from monitoring and observing our European seas and oceans. So, what is hindering effective engagement of industry with marine observatories and related data-sharing initiatives? This guide explores these issues and makes concrete recommendations on how to stimulate a dialogue between public data collectors, providers and portals, and data users or providers from the private sector. 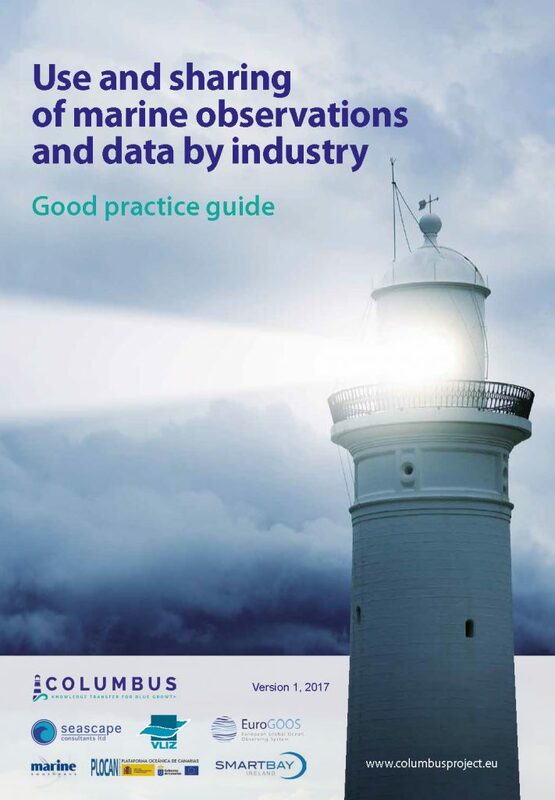 The primary target audience for this document are the European marine observatories and public data-sharing initiatives that cite industry as a target user group for their resources. However, this information could also be valuable to companies and other stakeholders operating in the blue economy who are collecting, processing and/or using marine data as part of their activities. The guide is presented for the first time at the Ocean Business brokerage event organized within the Jerico-Next project, on 4 April 2017.